I never really wanted to write this post. Close friends and family knew early on but it took quite some time to make it "FB official". I held off announcing pregnancy as long as I could. I waited until after what I call "Birthday Season" in our house because I didn't want to take any attention away from either kid. When I found out we were expecting the first and second time, we shared the news almost immediately. And while we always wanted more than two children, we came to the resolution that our family was complete, for the moment or perhaps forever, until we were less overwhelmed, until we could afford to conceive a healthy child through IVF/PGD, etc. The list goes on and on. Well, God's plan for our family was different than the plan we made for ourselves. Although I was very happy with our Pug puppy, Baby Felix won't be the youngest for long. The hardest part of an unexpected pregnancy for me was the fear of more disease. How would I handle two chronically ill children - double the appointments, double the hospital admissions, double the treatments, double the medications and medication refills, etc? I spoke very early on in the pregnancy with CF parents who have more than one child with CF who assured me it wouldn't be easy but it would become our new normal. Although I felt somewhat relieved, not knowing the health status of Baby #3 was going to consume me. My husband and I decided we would not terminate pregnancy but we agreed that we had to know in advance, the health status of our third child. Only our close friends and family knew about our inner turmoil. 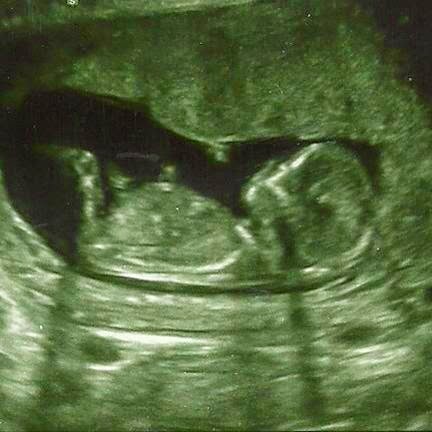 So at 13 weeks, the same appointment we received the above ultrasound photograph, I underwent genetic counseling for the third time and had a CVS (Chorionic Villus Sampling). The CVS test itself was not pleasant but then again it wasn't the worst pain I've experienced. Basically a long needle entered through the skin in my abdomen, went through my abdominal muscle, and through the uterine wall to collect a sample of placental tissue. The sample had to contain a certain amount of tissue to be able to test for Cystic Fibrosis and other genetic conditions. 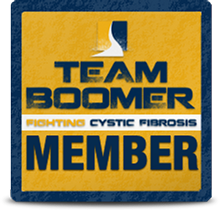 We made it very clear that if the sample was limited, we wanted the tissue to be tested for Cystic Fibrosis (it helped that we knew the two mutations) before any other conditions. I don't remember exactly how long it took to receive the news, the estimate was 7-14 days. I knew there was nothing I could do to change the results so I tried not to think about it. I believe it was after about a week that I received the call. I could barely speak to the geneticist knowing that she was about to give me the news we had been waiting for. I remember the silence, it was probably only a few seconds but it seemed like an eternity as I waited...and then I heard the best news...."She does not have Cystic Fibrosis, she is not even a carrier." I could have kissed her. Our third child is a healthy baby girl, expected to join our family February 2015! It only took 2 trimesters to feel comfortable sharing this news with the world. And I don't want to drive anyone crazy trying to do the math, so I'll make it easy for you - I am 27 weeks pregnant. But I swear if anyone says to me at 40+ weeks "oh you are still pregnant? ", my head might explode. Nathan and Teagan were born at 41 weeks, #3 may wait until 42 weeks, she will come when she is ready. Why did I not want to write this post and put my feelings out there for the world to read? I feel ashamed that I was not instantly excited after finding out we were expecting. I know there are many loved children that were not exactly planned but I still feel like I would never want #3 to know that it was a surprise, a shock, and an adjustment. But now that I am over that I feel that there must be more women out there that are feeling the same way. Sometimes it is nice to know you aren't the only one. Why did I not want to announce? I was afraid of how the news would be received. We already have one child with a life threatening genetic disease and the chance of having another child with Cystic Fibrosis is 25% (with each pregnancy). Of course we would prefer to have all healthy children, but we wouldn't change the way things are (unless of course a cure is found). We took a chance with #2 and lucked out. We didn't want to press our luck a 3rd time even though we always wanted at least one more child. I thought the news would be accompanied by judgement from others thinking that we were being irresponsible. I know some family members were filled with our same fears and were less than excited upon hearing the news.